Power supplied by USB, no need of extra power. 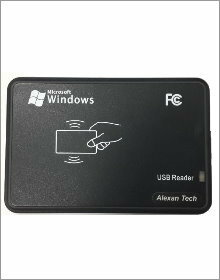 The Best Choice for desktop RFID reader! Copyright © 2009 Alexan Tech. Inc.